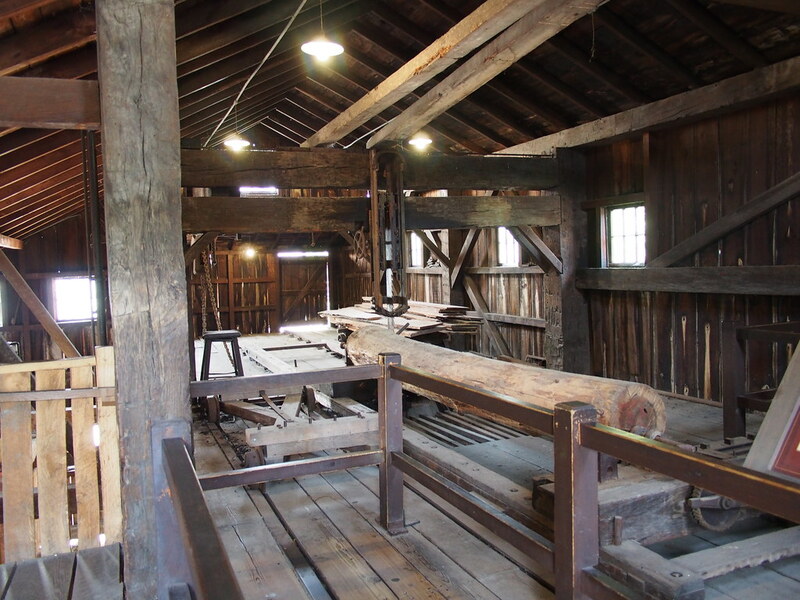 OT: Where to learn how to operate an Antique Sawmill? 1 Members Like This Post! The included photo is my hoped for post-retirement work place. It is the interior of my Great-Great-Great-Grandfather's Sawmill which has been preserved and restored at Greenfield Village outside Detroit. Unfortunately it is now only a static display rather than an operating Muley Style sawmill. My post-retirement dream job is to become a Docent for the Village (we are already members) and operate this Mill as a demonstration exhibit for visitors. I have found an operating Sash Style Sawmill in Connecticut which relies upon volunteers to operate, but I haven't found any Muley Style Mills which do the same thing. The difference being that Muley Styles use a thicker bare blade gliding up & down between wood or metal guide blocks whereas the Sash Style has a thinner blade fixed in a broad wooden frame (reminiscent of a window sash) and the entire wooden frame goes up and down. Significant similarities but some unique differences too. So to the Saabnet Brain Trust: Anyone know of a Muley Mill in their local area where I can apply to apprentice in the Spring of 2020? ->Posting last edited on Fri, 2 Feb 2018 17:34:51.